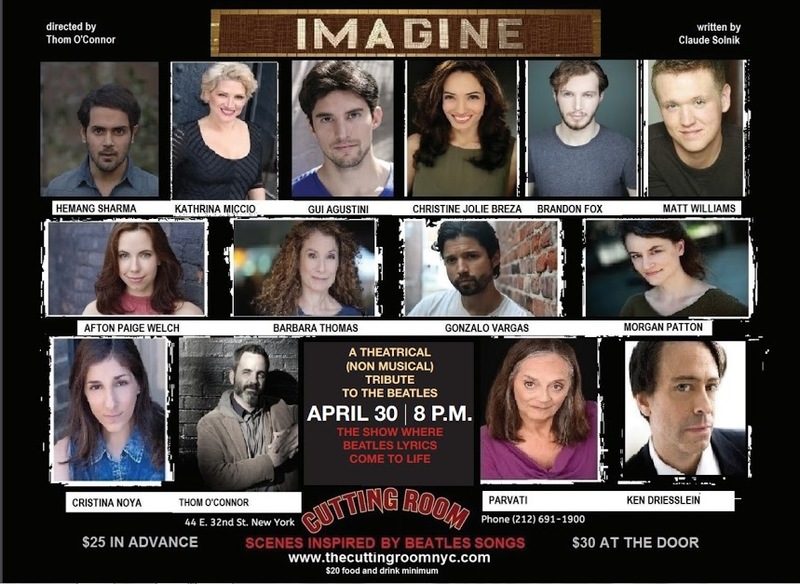 On Sunday, April 30th at 8:00 P.M., one of NYC’s premiere entertainment venues--The Cutting Room--will present a unique spin on the songs written by one of the most defining bands in rock history as “IMAGINE” comes to life. 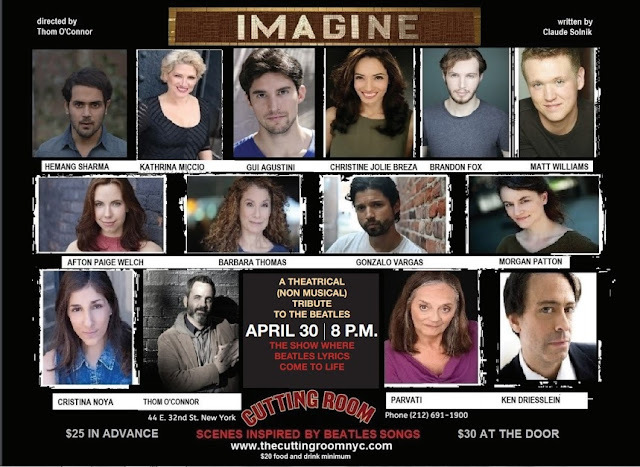 Written by Claude Solnik and directed by Thom O'Connor, “IMAGINE” is a non-musical theatrical tribute for fans of the Fab Four and anyone who imagines a world where “all you need is love. The director’s own story is an equally a remarkable journey through reality and a refusal to let go of imagination, a heartfelt voyage from home to homelessness and back. He chased a dream and has brought inspiration and positivity to his and other's' lives through theater and film. "What excited me about this show was the varied tones and themes of the scenes," O'Connor said. 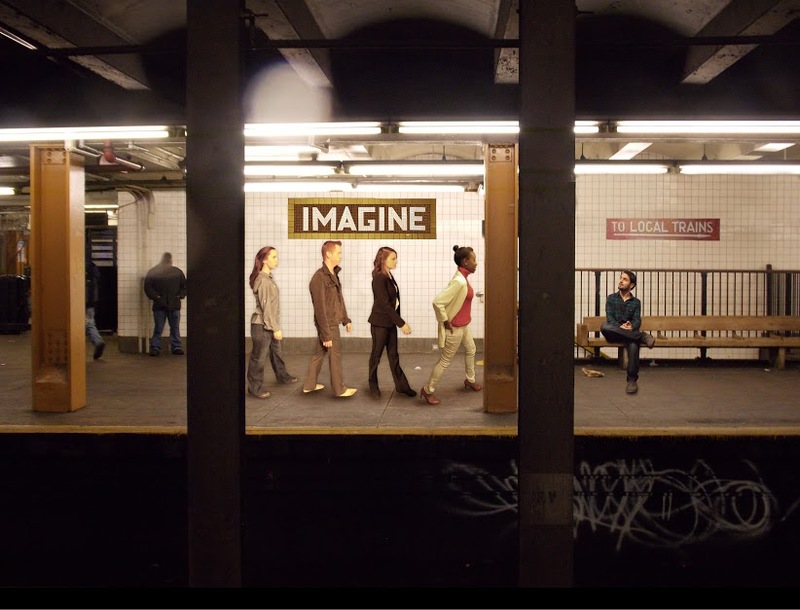 "The scenes that comprise IMAGINE could stand on their own, regardless of one's knowledge of the songs or the band that inspired them."